Dental Implants are the best solution for replacing missing teeth. 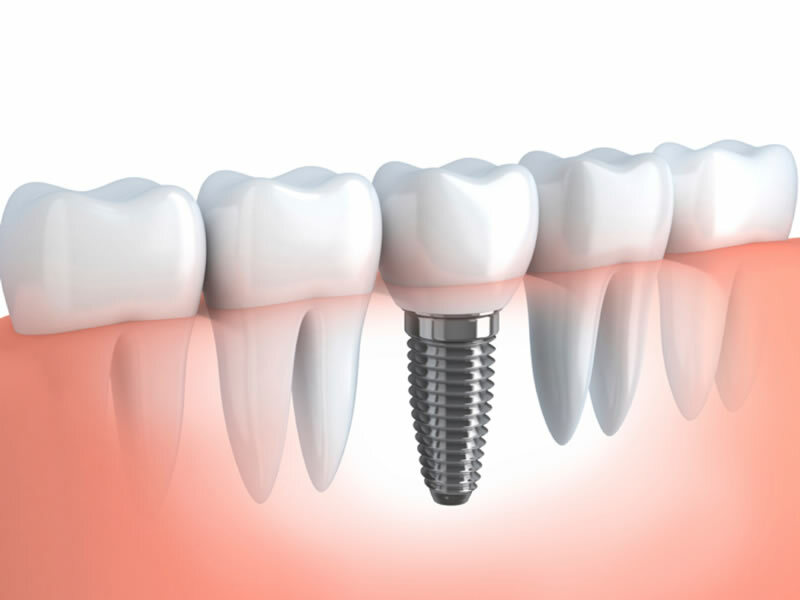 An Implant is a titanium screw, which gets inserted into the jawbone to create an artificial root that will later support a crown, bridge or denture. While an implant may be the more aggressive treatment plan than a simple crown or bridge, it provides a strong dental structure that can lessen your susceptibility to gum disease and bone loss. For these reasons, dental implants are considered the gold standard in the replacement of missing teeth. Dental Implants are considered to be lengthy treatment plans because of the healing process time it requires. After the implant is inserted in the jawbone, Dr. Tannis waits for the implant to heal and for the jawbone to grow around the implant, securing it firmly in place. Only then can the restoration be anchored to the artificial root. At Oakwood Village Dental, we will make the process as simple and relaxing for you as possible. We’ll take care of all your dental implant needs and we’ll leave you with a healthy, radiant, full set of teeth.